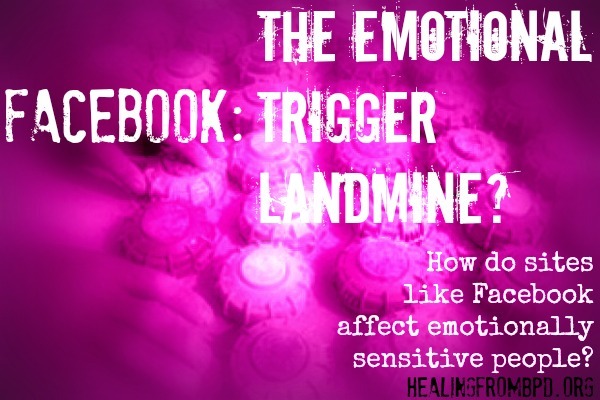 Facebook: The Emotional Trigger Landmine? someone has posted a rude comment or image that insults people who fall into categories that my loved ones (or I) fit into. This one has been very difficult for me to handle, especially when it is an attack or insult on people in protected (and unprotected) classes and when people show blatant disrespect for animals (and I see this all of the time!). Yes, I do ask myself “Why are you connected with these people at all, Debbie?” Good question. Sadly, some of them are family! I’ve actually disconnected from several family members as a result of Facebook drama. It’s sad. someone is (seemingly) constantly complaining and posting negative status updates about how “horrible” their life is. Sometimes I can just roll my eyes and move on from these posts, other times, I find myself getting angry — especially if the person is living what I consider to be a fortunate or privileged life. I get judgmental. seeing someone from the past engaging in happy conversations with others when that person really doesn’t want anything to do with me any more (example: ex-friend, ex-lover, family member.) This can really hurt — and it’s one of those situations that I no longer allow myself to be exposed to. No more exes, of any sort, on Facebook for me. Can you relate to any of these situations initiating an emotional reaction while you’ve been on Facebook? Perhaps you have some triggers of your own. In Dialectical Behavior Therapy (DBT), there is a practice of peeling off the layers of our reaction so that we can identify just the facts of the situation. For example, if we consider it carefully, Facebook is neither a “good” or “bad” place. It’s a place where people and companies from all of the world can connect through words, photos, videos, sharing link, and, as time goes on, more. It’s up to each individual person to make a choice each time he or she posts. Most people see their Facebook wall as a personal space to post whatever they’d like, but I challenge that. Do we not have a responsibility to consider our connections when posting? We don’t always know the intention behind a person’s choice to post something – especially something controversial – but in taking care of our own mental health, it is our responses that we need to pay attention to. The bottom line is, we only have control over what we share, and we have limited control over what we are exposed to if we choose to view our personal feed. 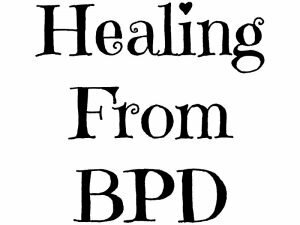 I have begun to shift to only logging in to participate in viewing and sharing on my Healing From BPD Facebook page and have mostly avoided my personal stream. This seems to help a lot. I also try to watch my reactions and put some space between them and my actions. I’m not always successful. Facebook can be a nightmare environment for those who have impulse control issues combined with emotion dysregulation. It’s just too easy to start typing away and posting something we’ll later regret. Avoiding the wall when I am feeling particularly sensitive has been the most helpful to me. If I am feeling strong enough to roll my eyes at things that may upset me while enjoying other posts, I’ll visit that section. It’s all about making sure that we feel safe, and we are responsible for the decisions around creating that safety, including with the information we expose ourselves to and who we allow into our space — even in internet connections. As always, your comments are welcome and encouraged. https://www.my-borderline-personality-disorder.com/wp-content/uploads/2018/12/healing-from-bpd-300x225.jpg 0 0 debbie https://www.my-borderline-personality-disorder.com/wp-content/uploads/2018/12/healing-from-bpd-300x225.jpg debbie2013-02-25 18:48:002013-02-25 18:48:00Facebook: The Emotional Trigger Landmine? I find it particularly hard when I see pictures of people looking gorgeous, jealousy and my own self-hate comes in and takes over me. I'm extremely sensitive on my self image and constantly put myself down, seeing pictures that people have uploaded of themselves looking stunning only throws salt onto the wound and makes me wish I looked so good. Thanks so much for your comment. That's another great point — and that people share what they want to share. It can seem like someone has a glamorous life, but we don't see those other "moments" that they experience and don't post online. Comparing can really affect our self-esteem. I remember a three month period in my early twenties when I didn't have television — my self esteem jumped up. I have to think it had something to do with not seeing images of beautiful women who I measured myself agains. When it comes to responding to people, I generally have brilliant self control — too much so, in fact. These days I don't respond rather than responding badly, which sounds like a better option, and sometimes it is, but has many problems as well. There have been times where I was outright falsely accused of something and I couldn't defend myself because I was afraid of responding badly (or worse, getting someone else in trouble) so I said nothing. It still haunts me! That last one, though, "seeing someone from the past engaging in happy conversations with others when that person really doesn't want anything to do with me any more", that breaks me in a half every time. I have all my old workmates on FB and watching them interact still affects me, even though the big incidents I had with them all were in 2008. Like you, mostly I don't read those walls anymore. The other one that gets me, that really affects my emotional state, is when people I care about are going through times, or are attacked by those they know. A friend of mine recently celebrated her 4th anniversary of leaving an abusive partner, and he hacked their son's account to put the blame of his abuse onto her. I was beyond furious, jumping into protective mother-bear status, and then I was out of sorts all day. And animal mistreatment. I help coordinate lost & found pet pages on Facebook and that has linked me to people who really deeply care about animal welfare, and I see so many heartbreaking animal images that just tear me up. I don't want to stop seeing them though, because I know it's still going on out there and the knowledge really needs to get out there… but it's no less heartbreaking. I get triggered by posting something and getting no response at all, which is so frequent that I don't know why I don't stop posting. 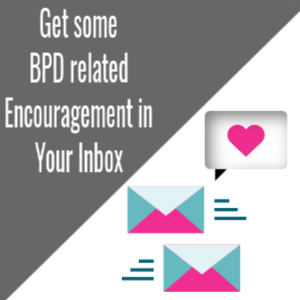 A few days ago, I accidentally shared a BPD post that I liked. I thought I was just posting the picture, but forgot that it was also going to show the origin of the post. Once I realized it, I thought, what the heck, nobody will see it or respond to it if they do. And I was right. No response. I can't know whether they saw it and ignored it or not, but it would be so typical for them to ignore it wouldn't it? It probably made them uncomfortable so they kept silent. I'm not sure if I outed myself or not. i saw this post and immediately read it, facebook really is bad even for the average emotional person! people live on it. break up because of it, and even in worse case scenarios, get stalked on it. (with me doing it. LOL) i deleted it a year ago now. it was a really big decision to do so 'cause i have lived my life on the net since i was like.. 11. anyway, even back to the 'myspace' days, i can relate to the immense jealousy i felt looking at all the 'pretty' girls. i would try so hard to be like them and take pics. only to be upset that i don't look perfect/didn't get comments. i used to stalk boys i liked on it, and ask them about any girl who spoke to them.. but this is on like every social networking site that's been around! anyway. these days i have really tried to calm down, and only keep to twitter or go on forums about interests. 🙂 i'm so glad you wrote this post, to make everyone aware just how harmful facebook can be! I can so relate to this post! Thank you for sharing it with us. I've recently – after thinking about it for a long, long time – deactivated my profile, only to start a new one where I chose to connect with like-minded people only. It was my way of setting boundaries – removing the exposure to negative or triggering, and the like, type of posts. Sure, it may still happen as people are free to post what they will. However, the fact that, as I said, my current connections on there are mostly like-minded, has instilled a sense of relief. It's like I can log in without having the judgemental or comparitive or defensive garb ready to go just by thinking about what I might happen to see before I even finish typing in my log-in details. This post, and my comment, has me thinking of setting aside either a time of day or an entire day itself where I do not check any social media – it could be like Facebook Free Fridays… hmm. I'm so glad I came across this article! I thought I was the only one with BPD who found it to be an emotional trigger. I just deleted my Facebook account (well, it will be deleted in 2 weeks) because it was a huge trigger for me! The biggest trigger was when friends and my fiancé would not like my statuses or comments. I know it's something so small and stupid, but I would feel rejected and then hurt about it. I would find it really distorting the way I perceive these individuals as well as myself. It would make me upset and if I was already upset, then forget it! I would become a wreck. Besides that, I found that I was spending way too much time on it (for what?) and was checking it constantly on my phone if I wasn't in front of a computer. It feels a little strange to not be "in the know" about every aspect of my friends' lives, but it's worth it. I have been feeling better about being away from it each day that I don't log in. Thanks for the comment, J. Lots of great insights. Congrats on your decision! this could be a whole other support group! i am glued to my computer. my best friend (a guy an ocean away who i met – on FB!) walked away from me (ignoring my PMs but remaining my friend) for over 2 months. it about killed me. i totally understand it was because of my hyperemotional obsessions, but i really could not let myself give up and let go. he means so much to me (yes, sometimes too much). he is now talking "to" me via responses, and i hope to get the relationship back, but it has taken a chunk of my life fighting to keep him. i am now facing losing about 30 friends (all connected, but unrelated to my best friend) over a small argument that happened that triggered me. i am getting all kinds of "constructive criticism" about how i SHOULD have behaved (like i don't know that) and i am considering unfriending all of them because the negativity is not worth it. 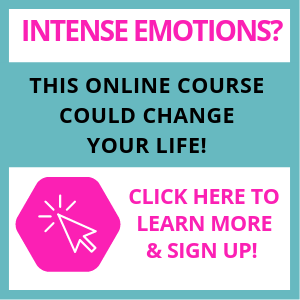 i am working hard to teach myself DBT and am concentrating more on these kind of supportive websites (and related FB pages), talking to others like me so i can learn to better control my emotions. hopefully my friend will not give up on me, and i can learn how to be the best friend i can to him. thank you for this post. my husband, who is extremely supportive, does not "do" FB so does not get my issues with "friending, deleting, PMing. etc). Thank you so much for being willing to share your experience with this, Christine!